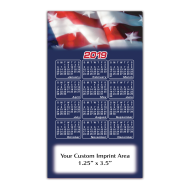 When you put your law firm's name on a customized calendar magnet, it will be seen multiple times a day, giving your firm long-lasting promotional exposure. 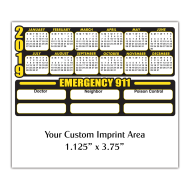 Magnetic calendars with your custom imprint are a great marketing tool. 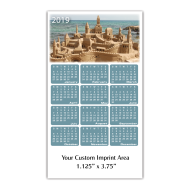 Clients and prospects usually put them on their refrigerators (where they see them multiple times a day), which makes your brand a part of their daily life. That means that your law firm will be the first that comes to mind when they’re in need of legal services. 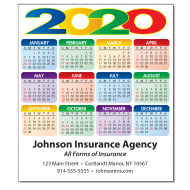 Set your firm apart by ordering promotional calendar magnets today!